One of the things you notice in our home is that we have a lot of small collections. Russel Wright pottery, trios of vases, and birds. What started as a term of endearment and a reminder of her grandmother has now grown into a small collection of objets d’art. It’s our own little menagerie. We recently acquired a trio of birds designed by Kristian Solmer Vedel (1923-2003). 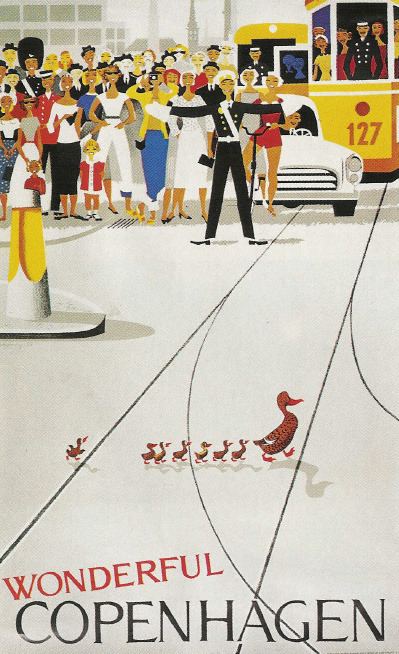 Vedel designed his family of Birds – children, parents and grandparents back in 1959. 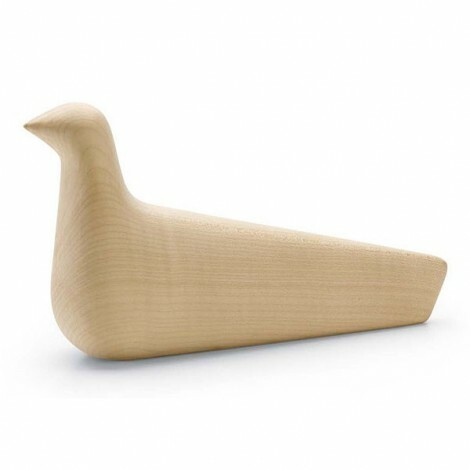 Though only the small Bird was originally produced, it quickly became one of the most successful Danish wooden products from the 60’s. The three smoked and natural oak birds we have are re-production versions, but they are still all handmade by a small wood turner in Denmark. 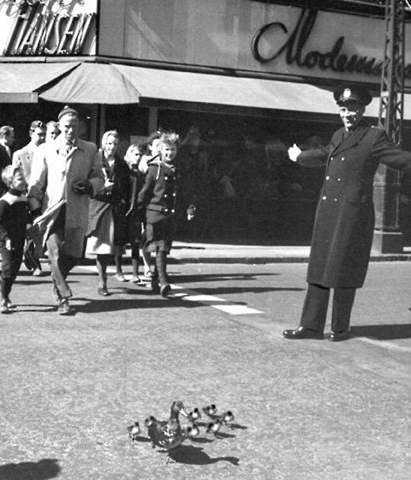 The story behind the three ducks sitting on our step is that on one spring morning in 1959, a policeman in Copenhagen stopped traffic in order to let a young Duck family safely pass. The charming story spread and the photograph was publicized in newspapers and posters around the world. 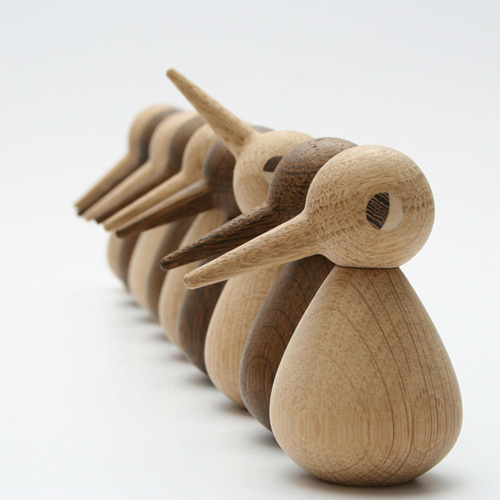 Inspired by the story, Hans Bølling designed the small, handcrafted teak ducks. 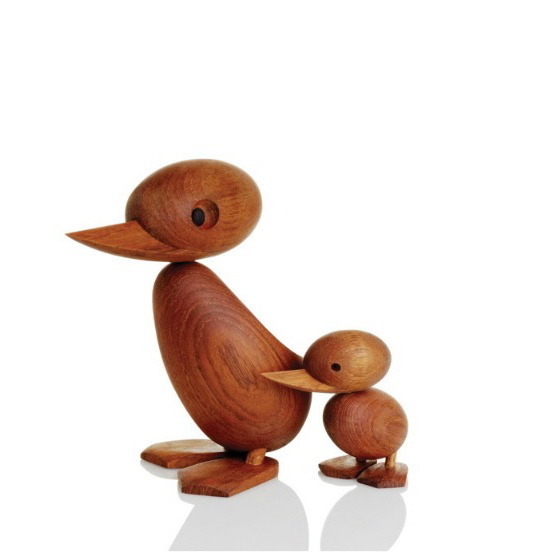 We were lucky enough to find three originals (one momma duck and two baby ducks) manufactured by Torben Ørskov. We don’t have three of them, but we picked this little guy up when we were in Copenhagen. L’Oiseau was designed by Ronan and Erwan Bouroullec for Vitra, and was viewed as being a companion piece to the Eames House Bird. 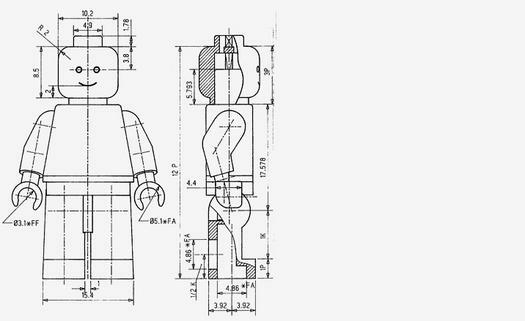 Made from shaped maple wood, it was designed to recall the simplicity of wood objects in Nordic folk art.